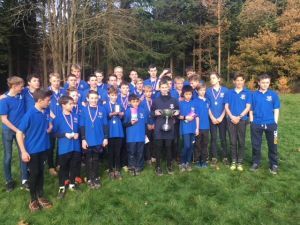 Well done to Torquay Boys' Grammar school runners who excelled at the British Schools' Championships in the Forest of Dean on 19th November. 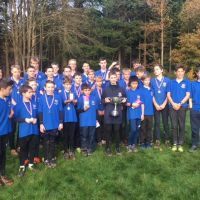 Despite a lack of girl runners they were placed 3rd overall equalling last year's results and dominated most of the boys' age groups as detailed below. Not a bad days work!